More correctly the Dog Days of Summer since they date from about the July 3 through August 11th when summer weather is sultry and Sirus, the Dog Star, rises at the same time as the sun. 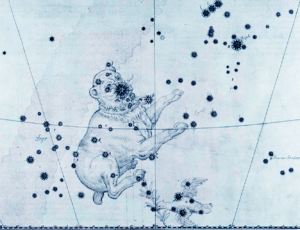 The Ancient Greeks thought of the constellation Canis Major as a dog chasing a hare. The star Sirus is the dog’s nose, or the Dog Star. I’m forever amazed at Greek star pictures. 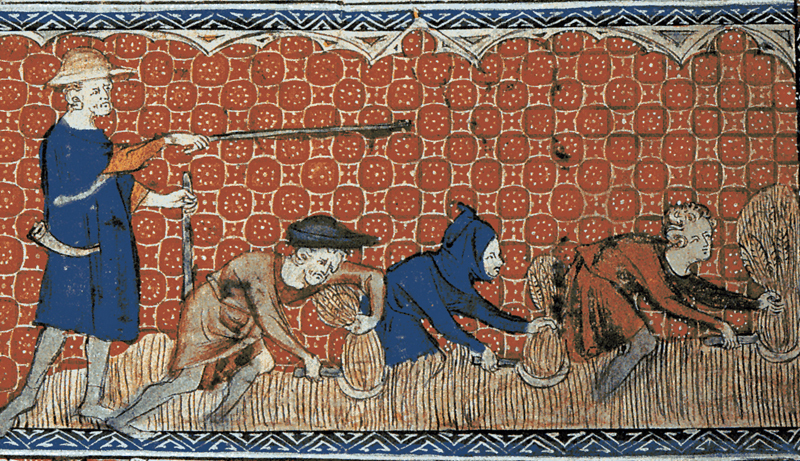 Lammas, an Anglo-Saxon festival, begins August 1st. Rituals honor The Goddess in the form of Ceres, goddess of grain and fertility. This could be awkward, since Anglo-Saxons were officially Christian. Anyway . 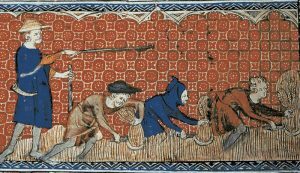 . .
At dawn, serfs cut down the first sheaf of wheat. It was winnowed, ground and baked into the first loaf of Harvest Bread which the community shared out in thanksgiving and hope for a plentiful harvest in the fall. Women brewed the first barley stalks into the season’s first beer. The custom of birthstones dates back to biblical times, but the National Association of Jewelers came out with an official list of birthstones in 1912. 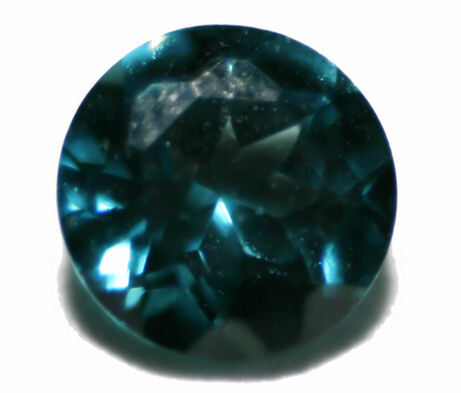 Today, August is one of three months with three birthstones. The first of these is SARDONYX with its alternate layers of sard and onyx. Like many ancient gemstones, sardonyx has special properties. 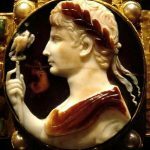 Greeks and Romans went into battle wearing sardonyx jewelry with images of gods and heroes to protect them, make them courageous, and give them victory. PERIDOT, a gem derived from olivine, is associated with abundance. Olivine forms in the earth’s mantle and is brought to the surface by vocanic eruptions when pieces of magma shoot into the air. The magma solidifies as it falls back to earth. In Hawai`i, peridot is called PELE’S TEARS after the volcano goddess. 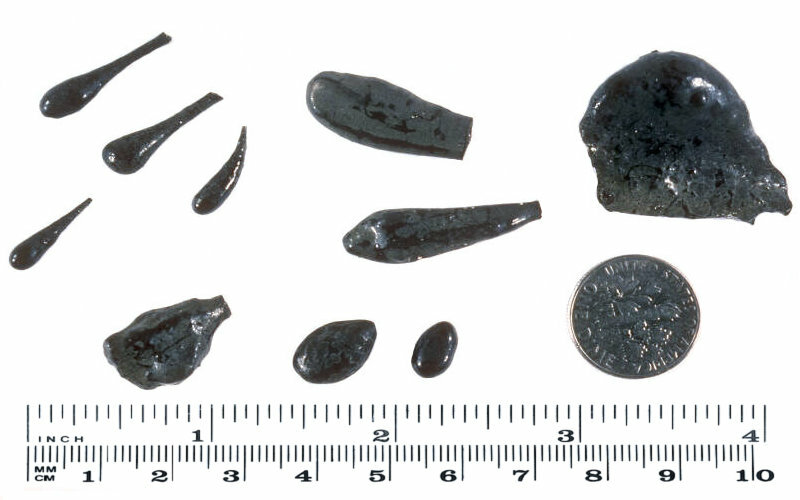 This example of Pele’s tears was collected from Kīlauea volcano. The term peridot comes from the Greek peritonea, giving plenty, which associates the gem with prosperity. 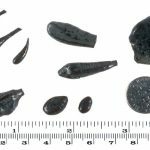 SPINEL recently joined the gemstones of August. Its qualities mimic those of rubies and sapphires. Vivid red is the most desirable color, but cobalt blue, bright pink, and bright orange are also popular. August also has a special flower. 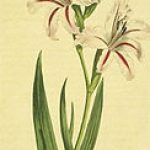 The GLADIOLUS is part of the iris family. For those who speak the long lost Language of Flowers, the gladiolus speaks to Strength of Character, Faithfulness, and Integrity. 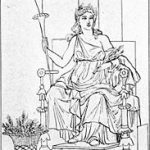 WHAT MAKES THIS MONTH AUGUST? 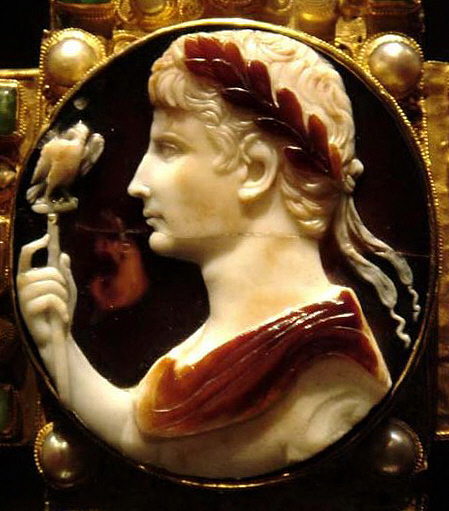 We call the eighth month August as a continuing tribute to Augustus Caesar. I say continuing tribute, because the name hasn’t changed since the eighth century, unless you count the French Revolution when July 19 to August 17 was Thermidor and August 17 to Sept 22 was Vendémiaire. But either of those names is entirely too difficult to spell. Illustrations are in the Public Domain from Wikimedia Commons. Canis Major in the Uranometria Atlas. 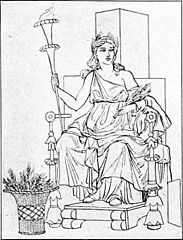 Ceres, Goddess of the Harvest. August Harvesting. Reeve & serfs. Men harvesting with reaping hooks on calendar page for August. Queen Mary’s Psalter. C. 1310. 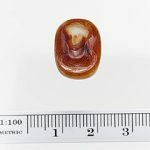 Sardonyx ring stone. Roman. 1st century CE. Pele’s Tears. Collected downwind from Mauna Ulu from along Hilina Pali Road on Kīlauea Volcano. US dime for scale. Round cut green spinel gemstone. August birthstone. American Gem Society. 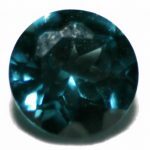 The History of Birthstones. Gem Select. Lammas. The Goddess & The Green Man. Top Ten Plants for August Harvest. Seasonal Eating. Aug. 2, 2012. 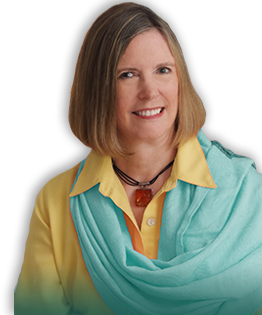 Becky Little. “Why do we call them the ‘Dog Days’ of Summer?” National Geographic. July 10, 2015.